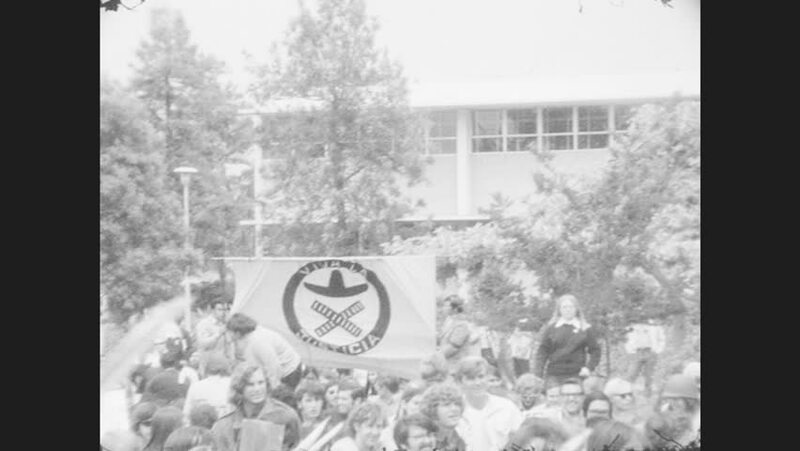 1970s: UNITED STATES: crowd gather in protest. Justicia flag. hd00:161940s: Soldier carries woman away from flames. Girl walks away from flames. Tanks parade through crowded streets. Citizens cheer tanks. hd00:25UNITED STATES: 1960s: space module falls from sky on parachute. Lunar module lands on ground. 4k00:221910s: UNITED STATES: lights of fair at night. People at exposition.